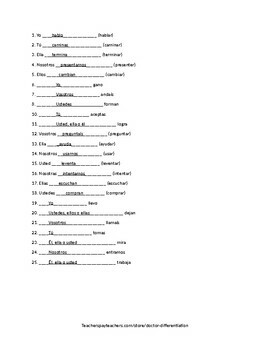 25 question fill in the blank test that allows students to see how much remember (beginning of the year or end of a unit). 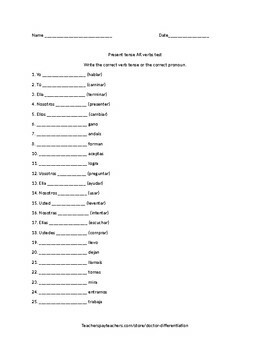 This also allows teachers to see which verb tenses students are doing well with and which ones cause students trouble. Just print and administer! You have the answers there. Perfect for tutoring or time with individual students!